Lately I feel like a spy investigating the well-being clinics in Aberdeen. 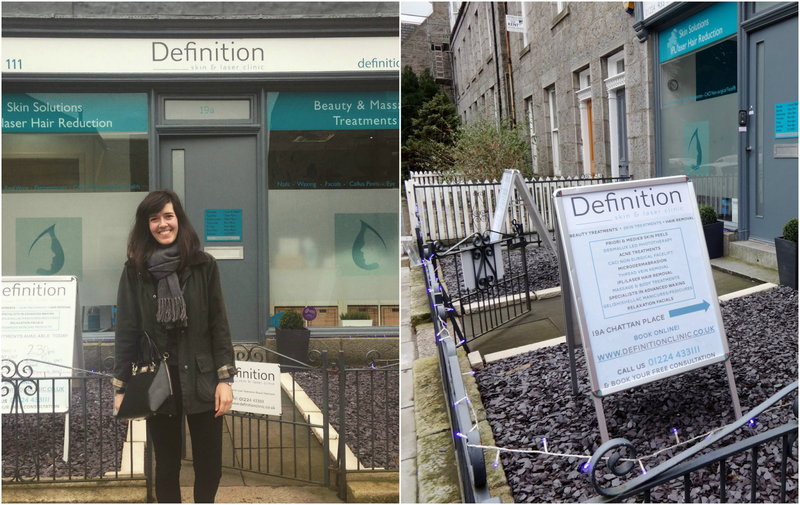 This time I visited the Definition Skin & Laser Clinic, an elegant place just a breath away my place-how convenient! 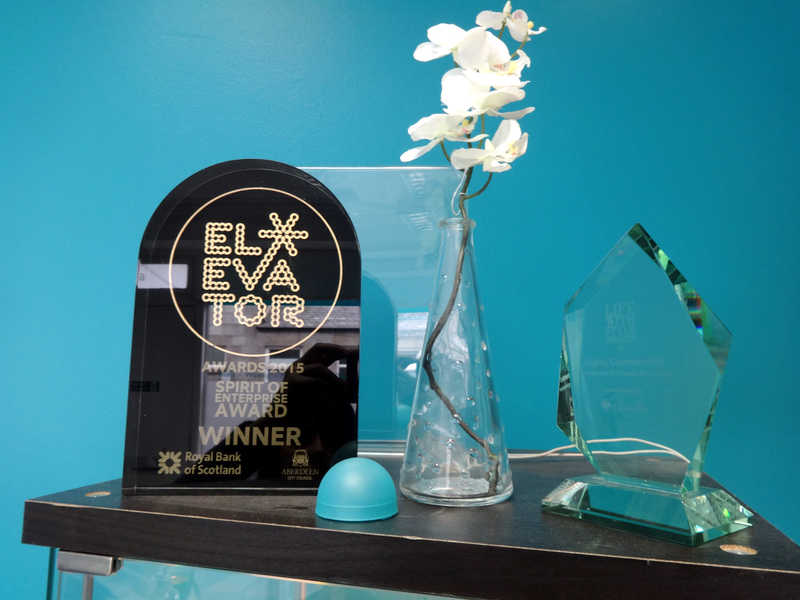 The Clinic: Housed in Aberdeen’s West End, Definition Skin & Laser Clinic is a laid-back, multi award winning clinic with pitch-perfect blue and granite stone interiors. 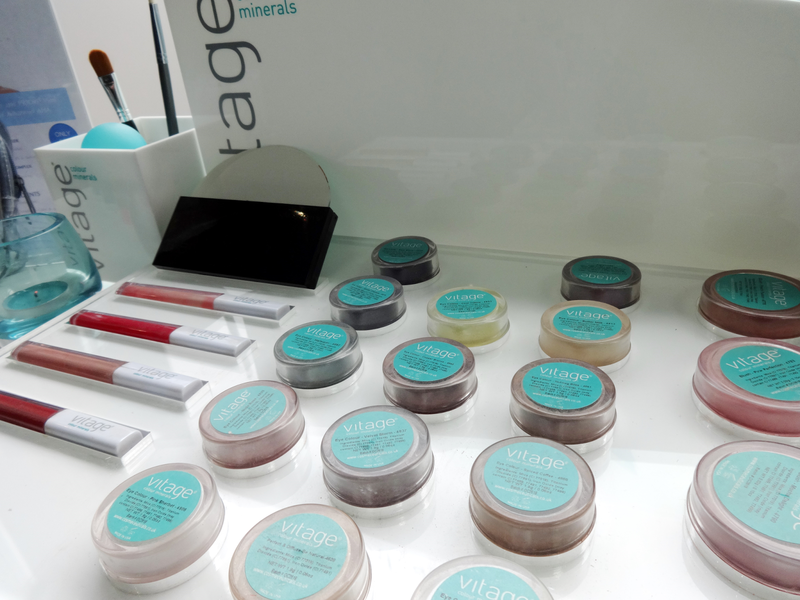 The clinic has the most advanced equipment and products, treating a wide range of skin problems. Upon my arrival I was greeted by Lucy, the owner and then I was introduced to Gail, my therapist for the day. Both ladies were very elegant and with their smile they made me feel at ease. 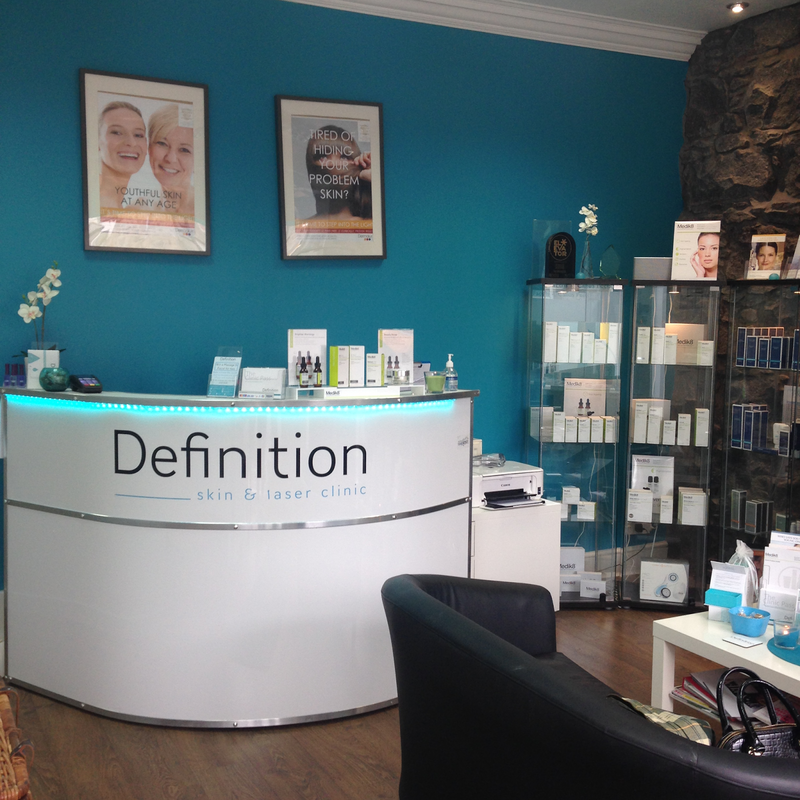 I was booked for a Deluxe Coffeeberry facial treatment (£79) and I could barely hold my excitement. The treatment: After lying on the warm bed-that had multiple layers of towels and blankets to make you feel at home, my therapist Gail started massaging my back with warm body oil. She was doing constant rounded movements that felt like waves of soothing relaxation on my body.She tackled all the areas that needed a bit more attention, like all the tie back knobs that office life genuinely gifted to me all these years. The experience then continued with Gail giving me the clinic’s famous PRIORY CoffeeBerry facial treatment, a skin gentle peel that she performed by applying the CoffeeBerry gel made from a combination of antioxidants including plant enzymes and natural sources of salicylic and malic acid. 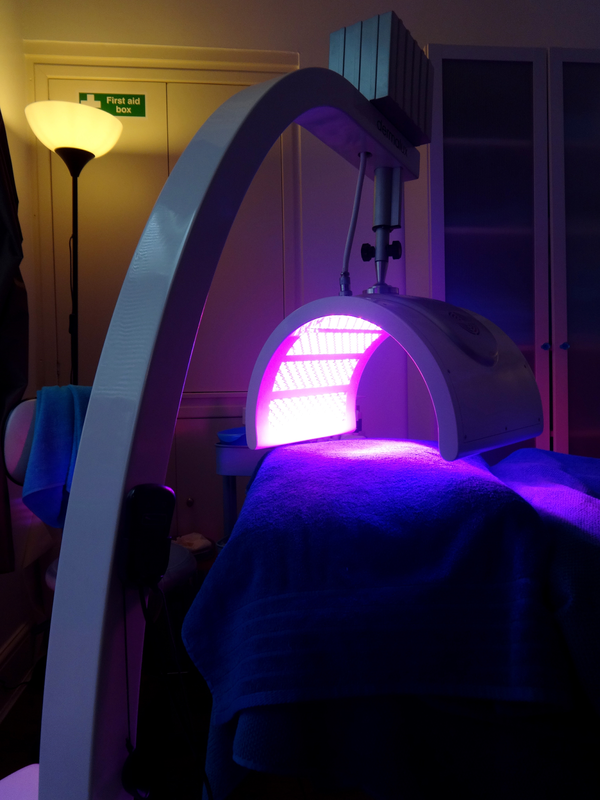 It had a really nice smell and Gail’s soft movements on my face made me feel even more relaxed than I already was. After 20′ Gail massaged my face for another 20′ and then I was ready to come back to the real world. The whole treatment quite literally made me fall asleep and feel like I was a baby. It was totally indulgent and made me feel completely pampered. It was quite literally one of the best massages I had in my life, I dare to say even better than the Dior Spa experience! 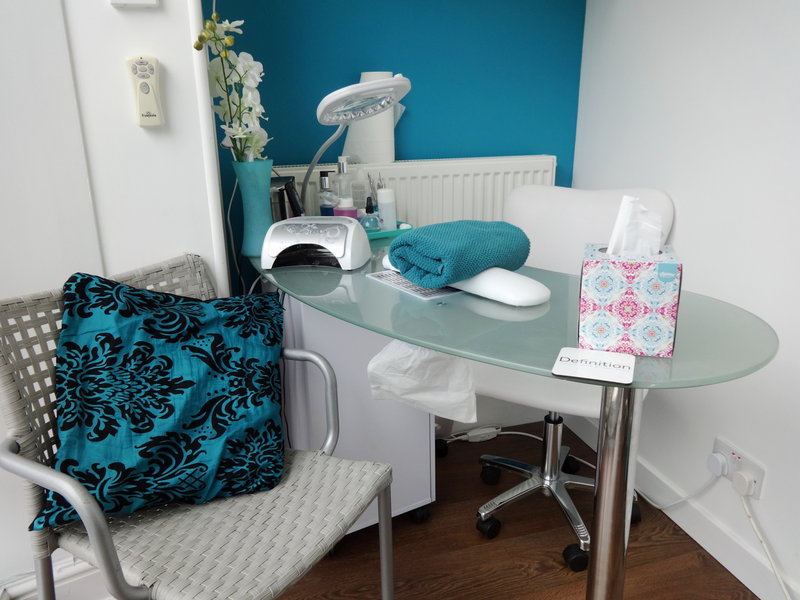 The feelgood factor: Lucy explained to me everything about the Dermalux treatment and why I felt like I was in a sunny beach. 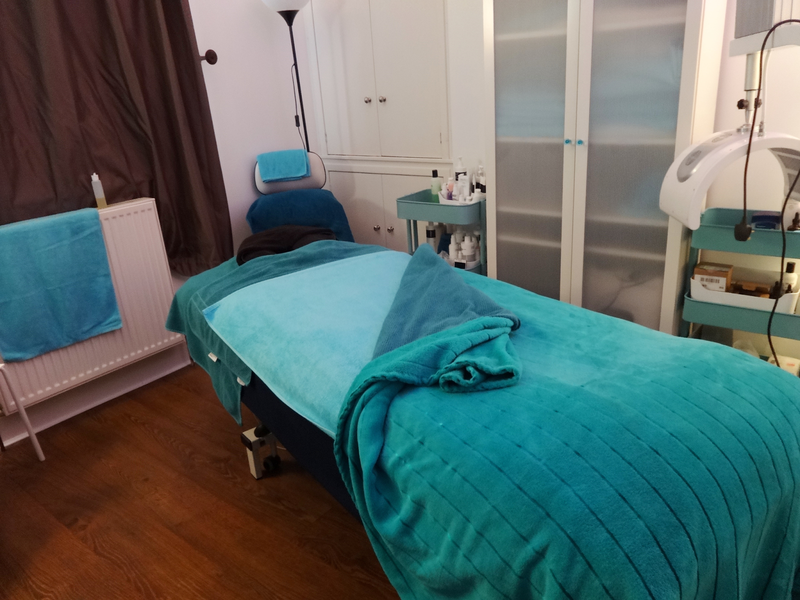 Apparently the treatment has nothing to do with sun beds-even though it might feel the same with the warmth on your skin-but it is a close feeling to being exposed to the sun without the negative rays. Lucy comes from an impressive background with her latest focus being producing her own range of skin care products. It is still a work in progress but seeing how good she is at what she is doing I am sure it will be a great success! What’s in there for you: I couldn’t leave the clinic without getting something for you too. 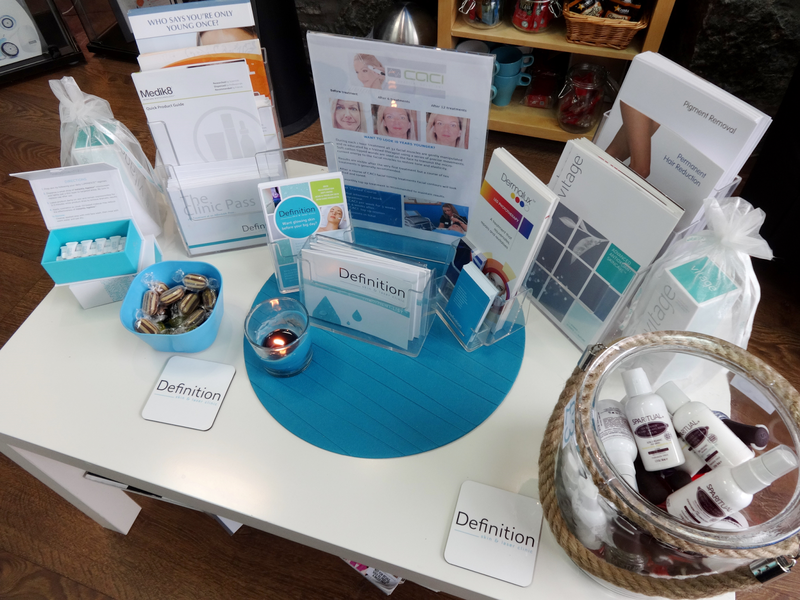 If you also want to experience the Definition experience, then here’s your chance to win a massage and facial for two: Refer a friend this month, both of you will be rewarded with 10% off your next treatment and be entered into the free prize draw. You can follow also on Facebook, here for more updates and offers. 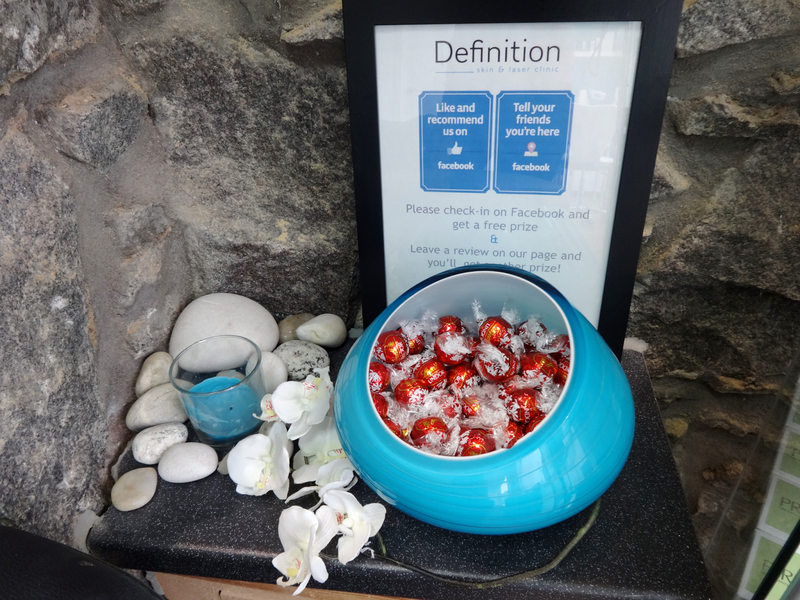 *the treatment was complimentary in exchange of a review but all opinions expressed are entirely mine.